View Creating a (p)react component library on Notist. Working with multiple teams on multiple applications brings a whole new set of challenges to software development. Which code do you share, where do you draw the line and how do you work together keeping a certain amount of consistency. At the ANWB we’re currently tackling these problems and building a component library using (p)react. 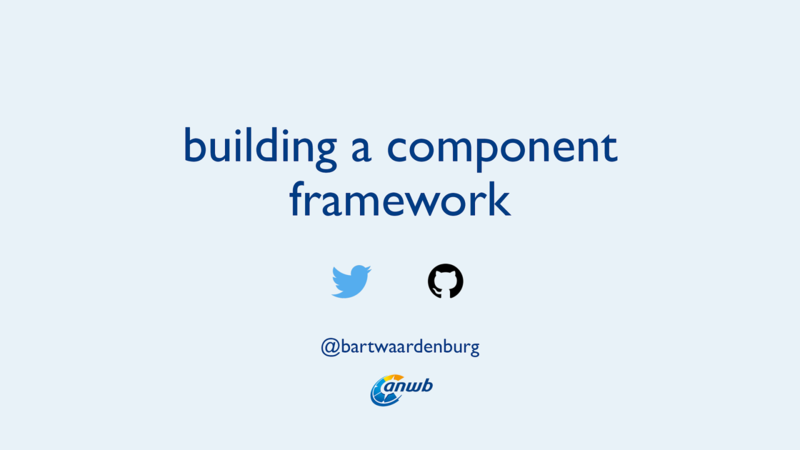 The need for a structured component library. The tradeoffs between complete developer freedom and a rigid code regime. I want to share our learnings on how to use React or Preact on a generic component level and our decisions to move from React to Preact. How to build and use an individually versioned component system using tools like Lerna and Storybook. Bart puts presentations on for free. You can too.